Thank you to everyone who commented on my last post. I love when we all open up about things that aren’t discussed in the “blog world” a lot. Woo hoo! 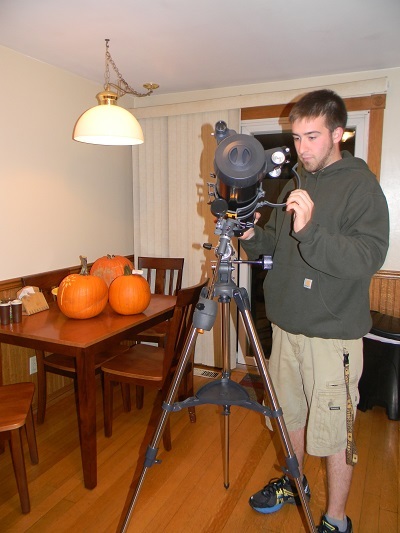 In May, Jimmy’s brother and I each pitched in money and bought Jimmy a telescope for his birthday. 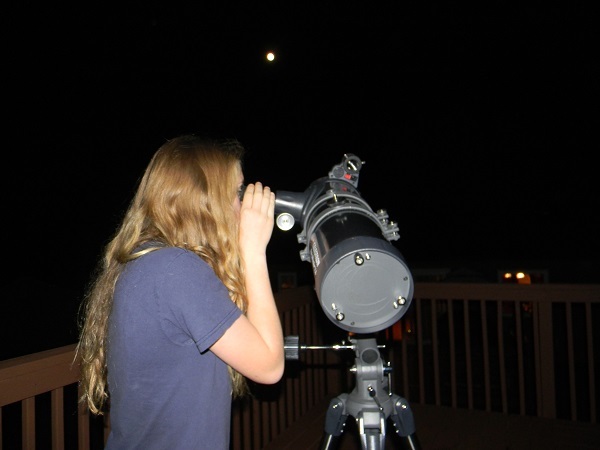 He brought his telescope over to my house on Friday night, and Hannah joined us while we looked at the moon and stars. 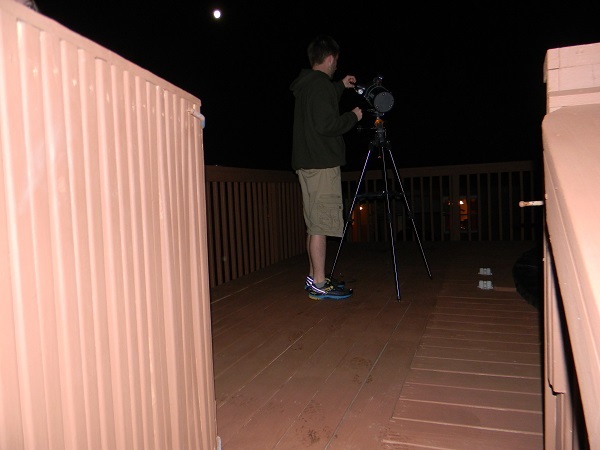 We (and by “we” I mean Jimmy..) set up the telescope on my family’s pool deck because it’s about ten feet off the ground. I don’t know how Hannah wore a t-shirt! It was in the 40s… brrr. It was pretty crazy to be so far away from the moon, and then look inside the lens of the telescope and see moon craters in vivid detail. God is amazing. 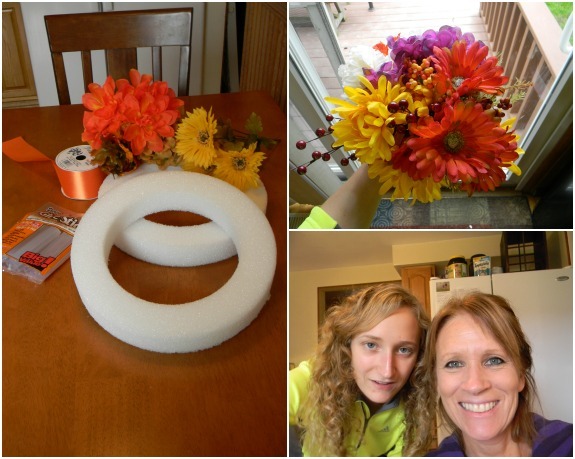 On Saturday, my mom and I created autumn wreaths! My mom took the picture of us together, and I soo wasn’t ready for it haha. I told her to smile, and she stuck out her tongue instead. 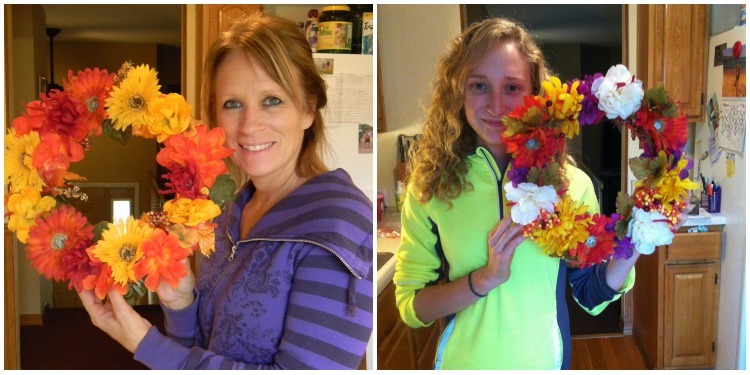 It was a lot of fun to celebrate fall by making wreaths, and it was even more fun to spend time with my mom. I found the craft/instructions here. 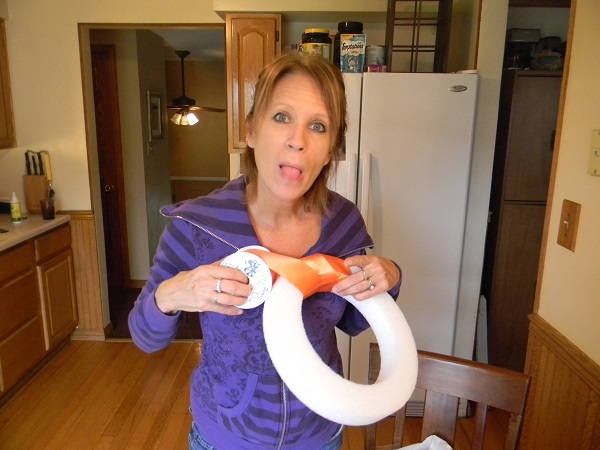 I highly recommend it–my mom and I aren’t super crafty, and we both agreed that it was pretty simple! AHH love the craft! I celebrate fall by getting outside and doing fall activities like pumpkin patches, walks, corn mazes, and exploring new towns with crunchy leaves! I am glad ya’ll had so much fun making those. So cute! I love wreaths. 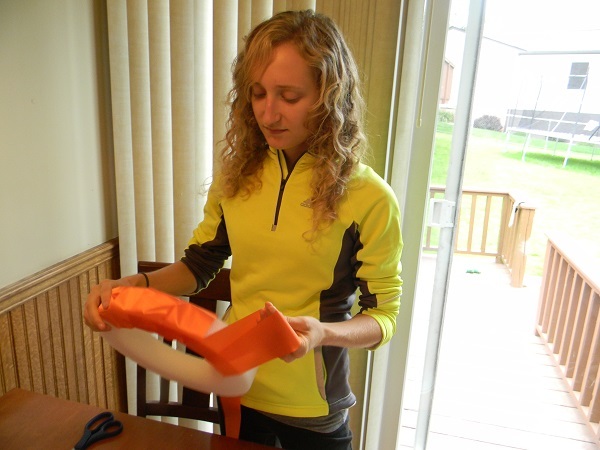 Last year I won a huge one at a road race and it was such a cool award. 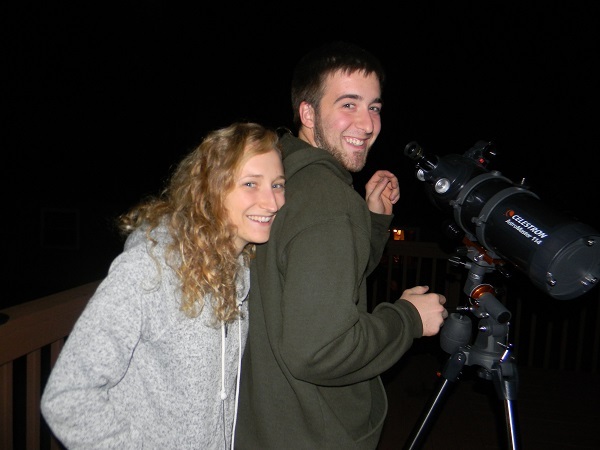 Oswego State last year actually had a really good meteorology program where you could go stargazing weekly if you wanted! I did once and it was absolutely gorgeous! I love the picture of you and Jimmy! You two look so happy. The wreaths turned out wonderful! Very cute wreaths! You guys did a great job. Glad you had that mother-daughter time! And so cool that you got to see the moon in such detail! Aw, stargazing sounds so fun (and romantic!) haha 🙂 And your wreath looks so good! I’m impressed! 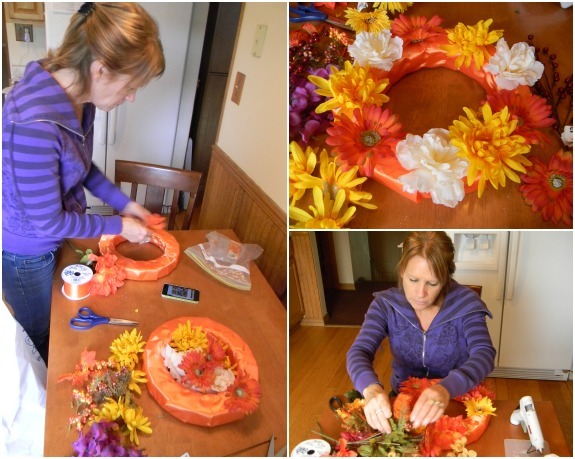 That’s so fun that you made wreaths together! So cute!